The Christmas Art Market at Welbeck. More than 100 artisan makers will be showcasing their wares at the ducal estate in Sherwood Forest. Unusual and unique gifts from across the region will be on display at the three day event, running from November 23-25. Taking place in The Courtyard at Welbeck, The Harley Gallery, Welbeck Farm Shop, The Harley Studios and a marquee in the Victorian Kitchen Gardens, it’s a high quality shopping experience a million miles away from the high street. Ceramics, jewellery, metalwork, textiles, artworks, wood and glass pieces make up an eclectic mix of beautifully crafted items. The Harley Gallery has carefully curated a selection of 75 artists and craftspeople including long-standing favourites alongside brand new exhibitors. Meanwhile, premium foodstuffs made by local producers from cheeses and chutneys to sweets and sloe gin will be available from 30 artisan stalls chosen by the award-winning Welbeck Farm Shop. Refuel with a range of mouth-watering street food, including pizzas baked in a purpose built wood-fired oven - made by students from the estate’s renowned School of Artisan Food. There is also the chance to visit 15 artists’ studios based on the estate and not normally open to the public. It’s a great opportunity to find out more from the artists and craftspeople working in The Harley Studios, from ceramists and textile designers to florists and jewellers. 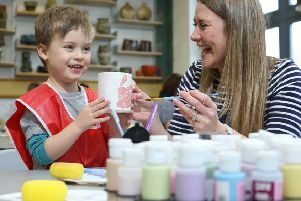 Free children’s activities can be found upstairs in The Harley Gallery while there’s an Explorer trail in The Portland Collection or the chance to visit The Harley Pottery Studio and paint your own Christmas gifts. 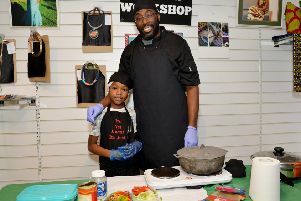 The Welbeck Winter Weekend is free to enter and free to park. Opening at 10am each day, the event runs until 5pm on the Friday and Saturday, and closes at 4pm on the Sunday.